In this post, we provide an overview of the tax deductions that affect your wages paid and payroll record keeping in Australia. 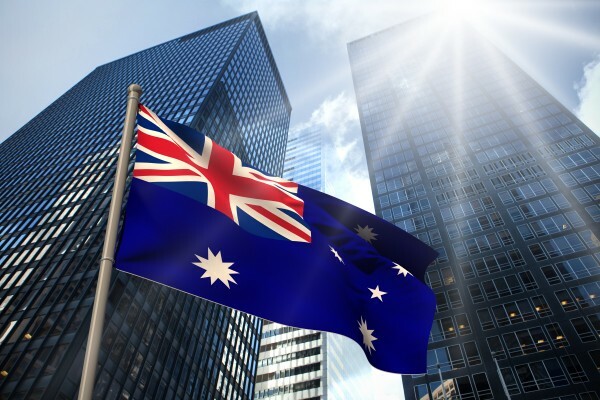 International companies thinking about doing business in Australia should be aware of the requirements for payroll deductions and reporting. 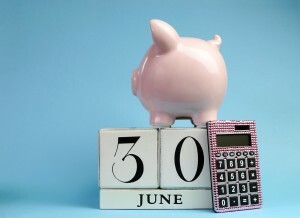 In Australia, the financial year (or income year) runs from July 1st to June 30th and most tax payments are collected by the Australian Taxation Office (ATO). The ATO is the federal government’s primary revenue collection agency and is in charge of collecting money from income tax, GST, superannuation (pension) and excise. The model of the ATO is self-assessment, this means companies do their own self-assessment of their tax liability and report it to the ATO. Though the ATO does not review income tax returns on filing, it has far reaching audit powers to monitor compliance so make sure you keep all the appropriate records and documentation. Unlike Canada and the United States where the employer deducts both federal and provincial/state income taxes from an employee’s wage, the PAYG system only applies at the federal level as each state does not collect income taxes. Thus, the only income tax goes to the federal government and is the responsibility of the employer to deduct it from each employee. Before entering into a contract or voluntary agreement with a worker, it is important to determine whether this person is an employee or a contractor. This will influence how much is deducted from their wage as well as what other monetary obligations to this person are. Once you have determined whether they are an employee or contractor, you can use the tax tables to help you calculate how much to deduct from payee. In payroll software solutions like Advanced Payroll AX, you can group which employees must have PAYG calculated and reported through rule groups or pay groups. The PAYG income deductions you calculated are reported on a Business Activity Statement (BAS) that is submitted to the ATO. Depending on the overall amount that you withhold during a financial year, this will determine when you must pay the withheld amount to the ATO. 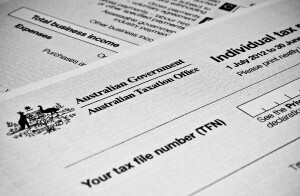 For information on the small withholder, medium withholder and large withholder classifications and when they are required to pay the withheld amount to the ATO, click here. At the end of each financial year, companies in Australia must provide a PAYG payment summary to each employee. This is an earnings and withholding report similar to the Canadian T4 or the American W-2 form. Each summary documents the total payments made over that financial year to that particular employee as well as the total amount deducted from their pay for that year. If you are using a software payroll solution such as Advanced Payroll AX, you may need to create new date period records to reflect the new year for your deduction, entitlement and generated earnings schedules. For more information about how to make these changes and other year-end changes in Advanced Payroll AX, click here. The Payroll tax is a state tax collected from the employer on wages paid or payable that are above the general exemption threshold. Wages encompasses salaries (including PAYG tax), allowances, director’s fees, superannuation and the “grossed-up” value of fringe benefits. The tax is not collected by the ATO, but instead by the revenue office for each state/territory who each have a different payroll tax rate. Similar to PAYG, employers are required to self-assess their deduction amounts. The tax amount is calculated on a monthly basis with an annual reconciliation that is done at the end of the financial year. Superannuation (also referred to as “super”) is the equivalent to a North American pension plan. In Australia, it is required by law that companies pay super contributions to the super fund for each eligible employee. As early as July 1st, 2014, many businesses will need to start abiding by the new SuperStream legislation aimed at standardizing and improving the efficiency of processing super payments. For more information about how to get ready for these changes and how it will impact your business, visit the ATO for more links such as this one and Australian Super website. The FTB is a tax collected on benefits that include rights, privileges and services, which employers provide to their employees. Some examples are paying for an employee’s private health insurance costs and allowing an employee to use a company car for personal use. For more information about PAYG collections system, visit the PAYG Withholding guide by the ATO and excerpts from the Taxation and Investment in Australia publication by Deloitte. Vеry nice post. I just stumbled upon your ƅlog and wanted to say that I have really enjoyed browsing your blog posts. After all I’ll be subscribing to your rss fеed and I hope you write again soon! Thank you for your comment, we hope that you will enjoy our future posts too!